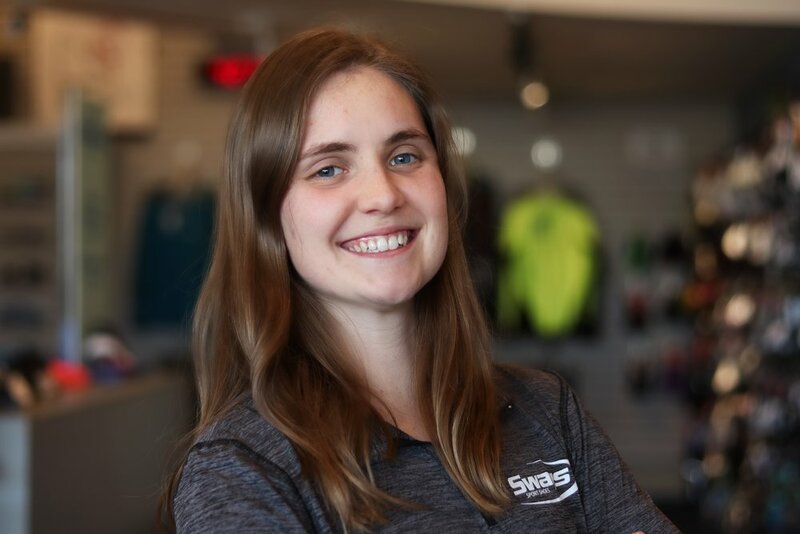 Swags Sport Shoes specializes in running but is more than a running store. Although runners make up the majority of our clientele; our goal is to provide proper and comfortable footwear for everyone. We carry everything from supportive sandals to steel-toe work boots. When it comes to selection, there are very few stores which can compete with us. Our extensive inventory, state of the art service, and knowledge of feet and shoes is what separates us from other shoe stores. Swag Hartel’s story is unlike most. He grew up in England in children’s homes and boarding schools where his love for athletics began. He spent his childhood playing sports such as soccer and rugby but a shoulder injury kept him from pursuing those sports further. Because of his injury he found running and that is what brought him to America. Swag was recruited to run track and cross country at Western Kentucky University. Some of Swag’s running accomplishments are comprised of being the fastest 17-year-old half-miler in the world for that year (1:50.8). Placing 2nd in the 1970 British Championships 1500m (3:40.5). He ran 64 10ks under 30 minutes and a half-marathon in 1:04. He has raced and competed in some of the most prestigious races with the best competition in the world. Many people ask, “why the name Swag”? This name stuck while he was a disc jockey for the local radio station during his time at WKU. Swag moved to Louisville, Kentucky in 1977 where he and fellow Brit Nick Rose trained professionally. His business began in 1980 in a little house on New Cut Rd. He first developed an interest in shoes while working at Athletic Attic in the Jefferson Mall. 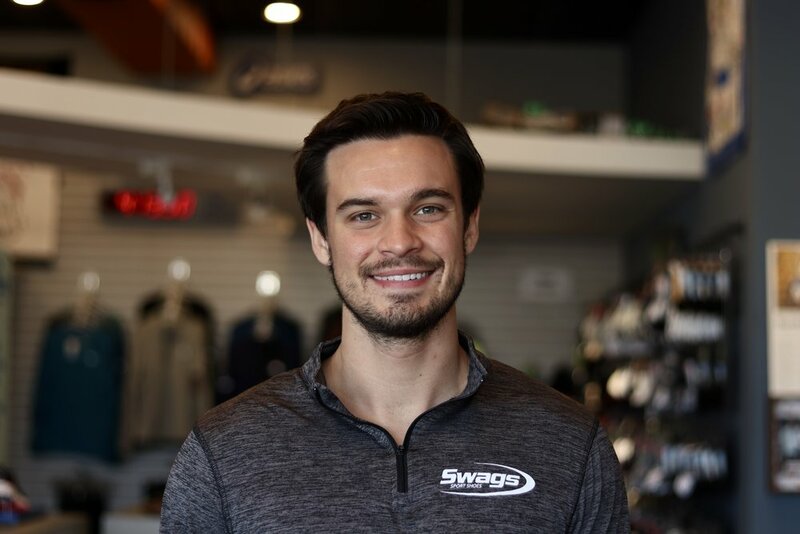 In 1985, Swag moved his business to where the original location is today and named it Swag’s Sport Shoes. Swags Sport Shoes has become a vital part of the community. His love of running and desire to help others is was separates his stores from most. Swag is a great example of the principle, if you work hard anything thing is possible. Step 1 — We get to know our customers by gathering information. We need to know what activity the shoes will be used for and if the customer has any current or recurring injuries. Step 2 — We analyze each customers gait by watching them walk barefoot. We also look at current or old shoes to determine a wear pattern. Step 3 — We select shoes using the information gathered from Step 1 and 2. We do not measure feet because each shoe fits different; we instead fit the shoes to your feet. 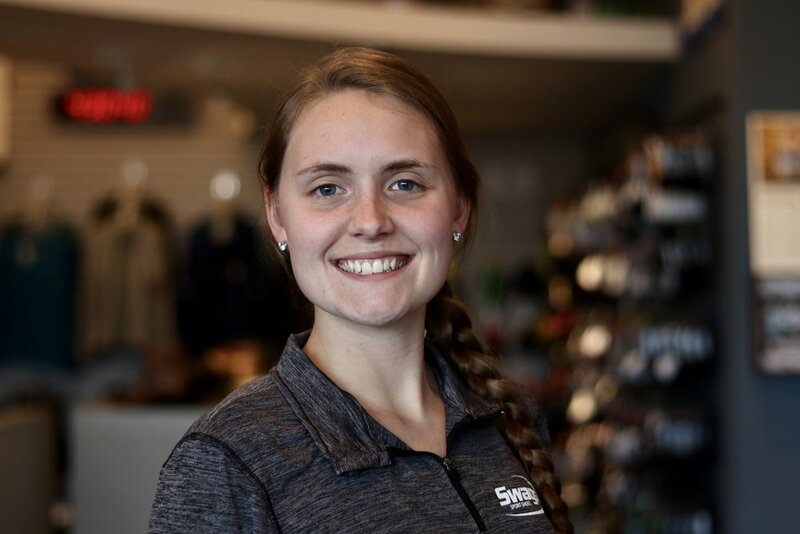 Step 4 - We set our customers up for success by talking about proper shoe care, shoes average lifetime, training tips, and answer any questions customers may have. Want to Be part of our Staff?